The potent and distinctive tone of Julien Wilson’s tenor has been described by the Sydney Morning Herald as having “stupendous power”. His majestic voice and exceptional performances have continued to receive wide critical and audience acclaim and his recordings have taken out a swag of awards. For this very special event, the 2006 Freedman Jazz Fellow Julien Wilson, will meet Australian jazz luminary and Hall of Fame Inductee Mick Nock, ARIA award-winner Jonathan Zwartz and industry legend Hamish Stuart in an intimate live recording session. Pulsating ensemble passages make way for thrilling improvisation when Australia’s most celebrated jazz artists perform at Sydney’s superb 301 Studios. Seating for this event is strictly limited, book now! Julien Wilson is quadruple Bell winner, a Freedman Fellow and an APRA/AMCOS Art Music Award recipient (Excellence in Jazz) for the Lionshare Recording Label in which he is owner/director. He has released over 20 albums as a co-leader and been a long-term member of both the Australian Art Orchestra and the Black Arm band. Julien has been featured as a soloist with the Kurt Elling Quartet (USA), the Sydney Symphony Orchestra, UK composer Gavin Bryars, and the Aventa Ensemble (Canada). 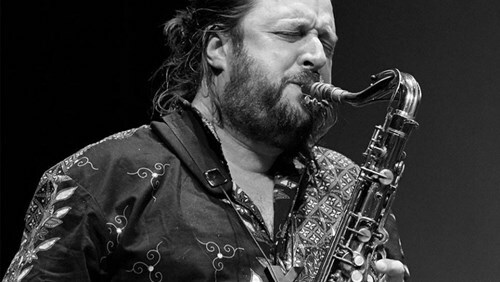 He has recorded and performed with Charlie Haden, Jim Black and Mark Helias, Hermeto Pascoal, Paul Bley, Brian Wilson, Hugh Masekela, Nigel Kennedy, Mavis Staples, Meshell Ndegeocello as well as Paul Grabowsky, Barney McAll, Paul Kelly and Archie Roach. He has sold out shows in Australia and notably at the Berlin Jazz Festival. Mike Nock is a Don Banks recipient, a Bell Awards winner and Hall of Fame Inductee, an ARIA winner and an AIR award recipient also. Cited as one of the unsung piano heroes of the past 50 years (All About Music) and as an International Treasure (USA Jazz Times), a larger than life figure on the Australian Jazz Scene with his debut with the Three Out Trio recorded in Australia in 1961, before moving to the USA where he worked with many of the world’s top artists including Coleman Hawkins, Peewee Russel, Phil Woods, Sam Rivers, Dionne Warwick, Michael Brecker, John Handy, Yusef Lateef, and Elvin Jones, his career interweaving with the history of Jazz itself. Jonathan Zwartz is among Australia’s leading bassists and an ARIA award winning composer. He has toured and recorded with many artists, including Pharaoh Sanders, Branford Marsalis, Tim Ries, Mark Murphy, Terri Lyne Carrington and Bernie McGann. 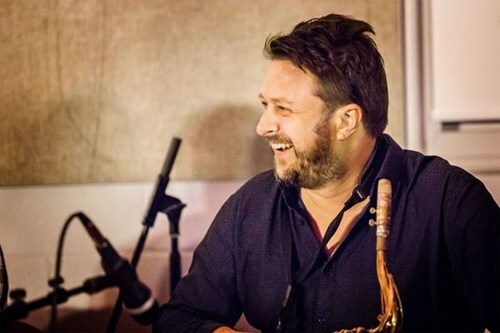 He has recorded three albums of original music; 'The Sea' in 2008 which won two Bell awards, 'The Remembering and Forgetting of the Air' (best jazz album at the AIR awards) and most recently 'Animarum' which won the ARIA for best jazz album in 2018. He is also a highly regarded film composer having graduated from AFTRS with a diploma in film music. Hamish Stuart is perhaps the most recorded and in demand drummers in Australia. A founding member of the seminal rock band Ayers Rock and Jacky Orzaczky’s Jump Back Jack, the Godmothers, Industrial Accident and the Bohemian Rhapsadists, he has played and recorded with Camille O’Sullivan, Sharon Shannon, Jacky Orzaczky, Tina Harrod, Barney McAll, The Catholics, Phil Treloar, Andrew Robson, Jon Cleary, Chris Abrahams, Don Walker, Renee Geyer, and Ursula Yovitch among many others. 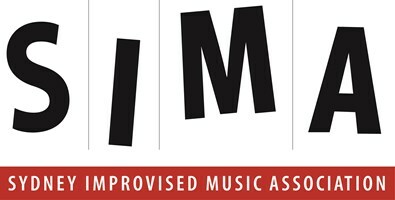 This concert is presented with the support of the Freedman Foundation and The Music Trust.